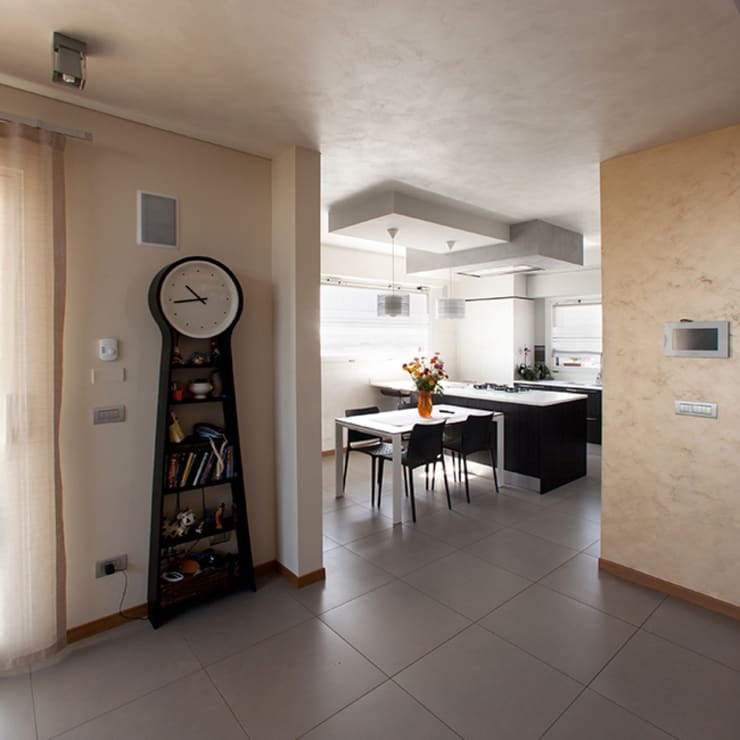 This home in Centallo, Italy looks ordinary but was created with speed using customized construction techniques. As we will see as we explore this home, it looks like a traditional bricks and mortar home that features an array of beautiful, natural and earthy materials including wood, stone and brick. 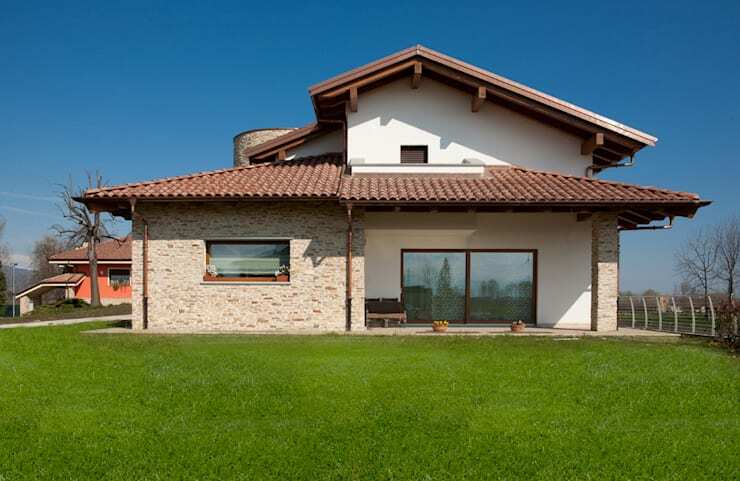 It is also so well-built that the roof consists of a wooden fibre panel, giving the home good heat insulation. In fact, you won't believe that this is a prefab home! The house was created by Italian professionals Barra & Barra, who specialize in the design and construction of buildings based on the concept of green building and energy efficiency. According to the company, the houses that they construct like this are ready in 20 weeks or five months, not including the laying of a concrete foundation. 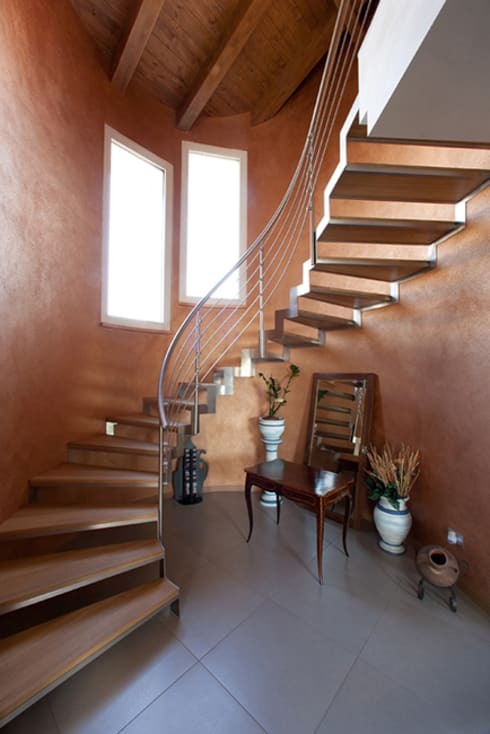 The designers have also used gypsum fibre, because of its excellent results. The material is aesthetically similar to plaster, but has greater structural features. Plaster, for example, can handle up to 10kg while the gypsum fibre supports around 60kg. If we get transported to a small Italian village called Centallo, we come across this beautiful residence. In this area of the world, we find very traditional architecture, with deeply established roots. The architects thus chose to adapt these valuable local characteristics to create a new, prefabricated structure that would still fit in perfectly with the local landscape. In this image, we can see that the result is a traditional family home, with modern features including thermal and acoustical treatments. This structure is very sound while the designers ensured that this home is very energy efficient. If you like what you see so far, have a look at these tips before buying a prefab home. The house consists of three floors, including two above ground and a basement. The basements features reinforced concrete, allowing it to house a wine cellar, a garage and a laundry area. The total area of this gorgeous home is 240 square meters. On the ground floor, private areas as well as social areas have been developed with more than 180 square meters dedicated to a living room, dining room and integrated kitchen. It also consists of two bedrooms, a dressing room, a bathroom and a laundry. Part of the living room was built in a configuration that allows natural light to flow into the space. Yet, there is no heat loss because the house is equipped with central heating and a modern home automation system that can be controlled remotely using a tablet or smartphone. How trendy is this? Finally, the rooms are also all equipped with controlled mechanical ventilation and a central vacuum. This is a true technological oasis! This project also saw the windows and doors made from PVC with a wood finish as well as glazing throughout the structure. Thus the whole house has been designed so that there is a continuous insulation capsule between the outer walls and the roof, preventing any heat loos. This is why this home is considered a true gem of green building. Here we come to the top level of the second floor, which features 60 square meters of a large loft area as well as intimate areas such as a bedroom, bathroom and home office. 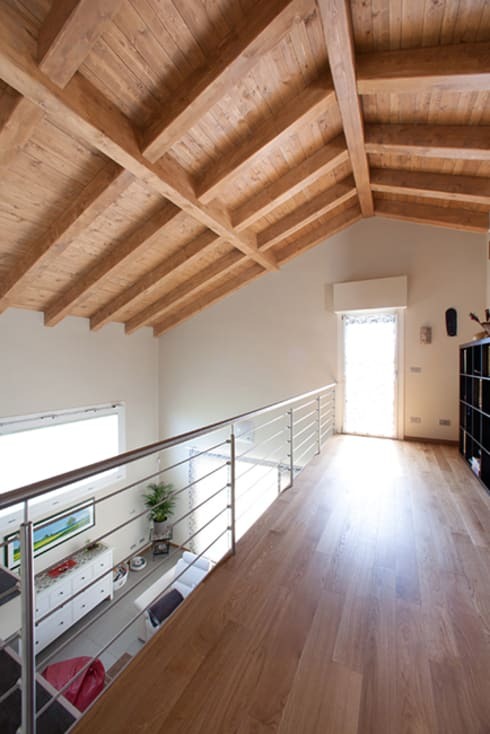 Here we can really see the stylish ceiling with the wood ceiling beams, that support the sloping roof. The 22cm thick wooden fibers reinforce this structure working in harmony with the flooring, which is finished in oiled oak parquet. 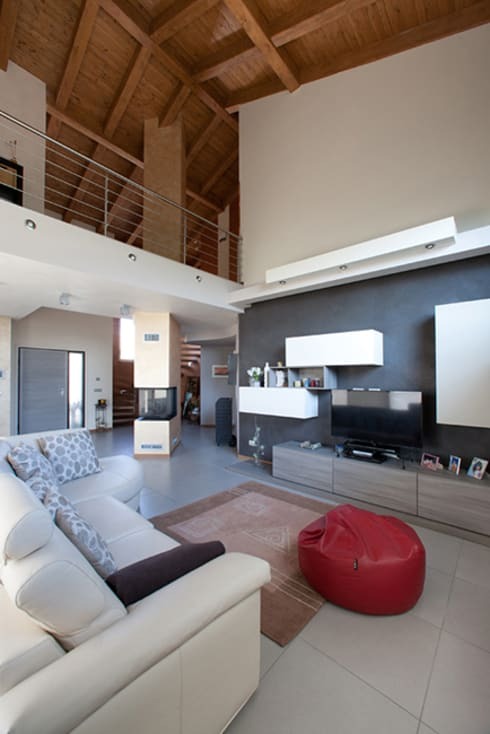 In general, the interior style of this house is quite sober and modern, equipped with a simply and cozy design. There seems to be an alternating of contemporary and traditional decor and design pieces. This is a very successful mixture of styles, which results in a very convincing final effect. If you like this home, you'll love this simply superb summer home. What do you think of this "green" prefab home?